Homer and Bart are chased through the streets of Springfield by an angry mob. 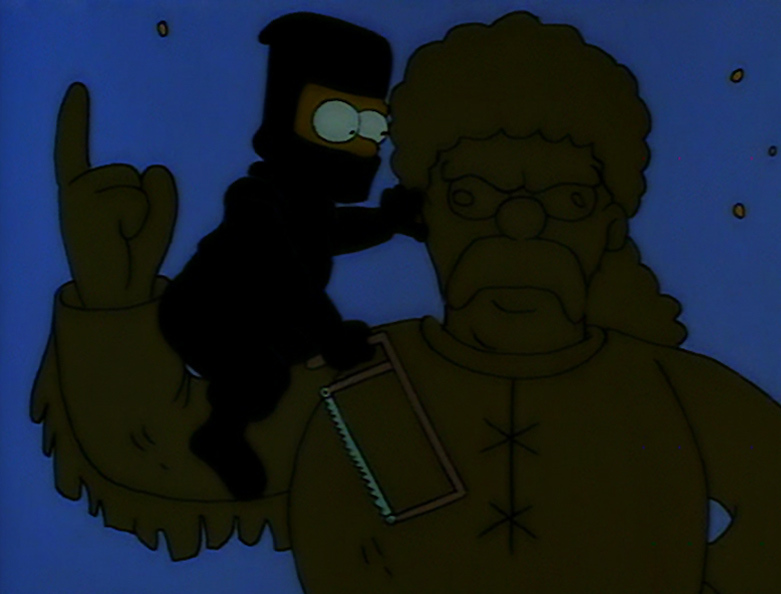 Someone has sawed off the head of the statue of town founder Jebediah Springfield. Surrounded by the surly crowd, Bart pleads for understanding and relates the events of the previous day. As the story unfolds, Bart borrows $5.00 from Homer and sneaks away to see Space Mutants IV at the local movie theater. On his way, he runs into a gang of troublemakers. One of them, Jimbo, invites Bart to sneak into the movies with him and his buddies. Later, as the boys thorw rocks at Jebediah's statue, Jimbo wishes someone would cut off the statue's head. When Bart tries to defend the town's hero, Jimbo and the boys laugh at him. 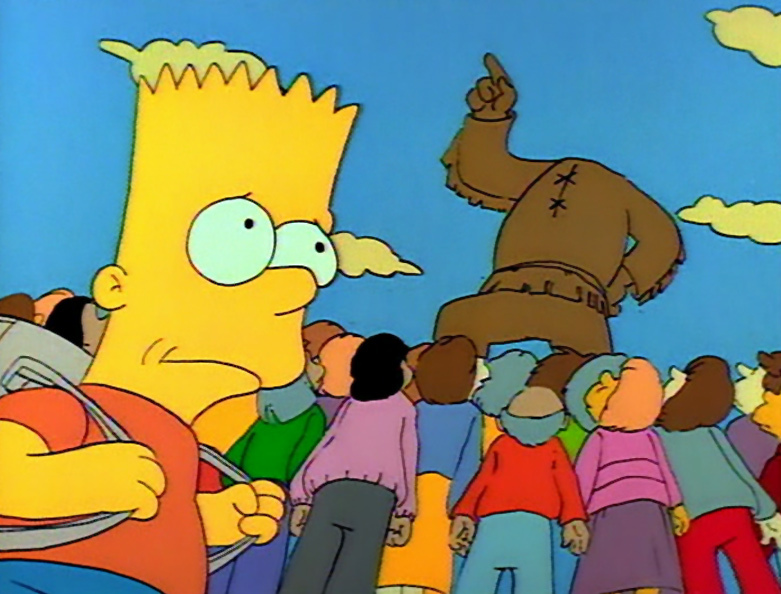 To be cool, Bart sneaks out of the house that night and saws the statue's head off. 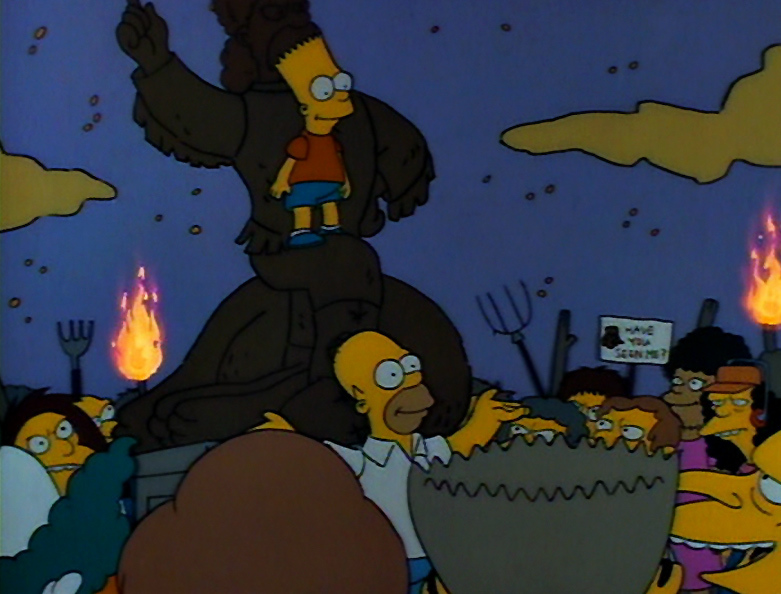 The next day, all of Springfield grieves the decapitation of the town founder. Bart finds Jimbo and his pals and discovers they are as distraught as everyone else. Feeling remorse, Bart returns home and confesses to his family. As Homer escorts Bart to the authorities, they are confronted by the angry mob. Bart tells the crowd that his act has united the town and taught people to appreciate their heritage. The townspeople agree, and Bart is forgiven. 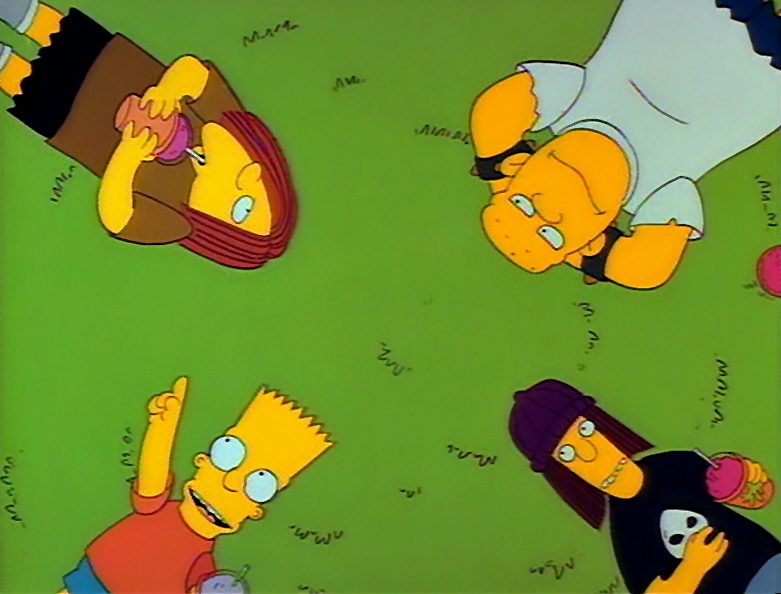 Bart tells the angry mob that his story will take "about 23 minutes and 5 seconds"